Roof coatings can prevent a tear-off or a reroof, and can extend the life of your roof by up to 15 years. The results are amazing, and we can apply roof coatings to nearly all roof types, on both residential and commercial properties. Not only will they prevent leaks, but many of our coatings will also keep your building cooler by reflecting much of the sun’s heat, and can lower your utility bills. Call now for a free estimate for your property! We specialize in waterproofing both commercial and residential roofs with the use of polyurea and polyurethane coatings. We use cutting-edge technology such as thermal imaging cameras and ultra sensitive moisture meters to find exactly where the leaks are, and proof your building against them. Polyurea is similar to a truck bed liner, only much thicker. When this material is used in waterproofing, it’s extremely tough and impermeable, and is a lifetime solution. We will add a polyurea layer to your building that’s suffering from water intrusion issues to seal off your roof against the elements. Call now to get a free estimate! Our roofing contractors can apply rubber roof coatings on both home and commercial properties, which are also frequently known as elastomeric roof coatings. One of the advantages of this type of coating is that it resists cracking and peeling and can seriously increase the life of your rooftop. 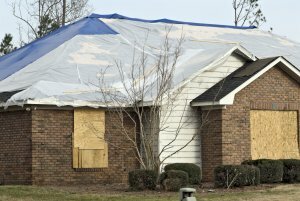 An ordinary roof expands and contracts throughout the heating and cooling of the day, causing cracking and other damages. With a rubber roof coating, your building will be protected against those actions. Call us now to get a free estimate! One of the most popular products today for commercial buildings are acrylic roof coatings. If you are the owner of a commercial property, we understand your needs can be drastically different than that of the average homeowner. If you are on a tight budget and looking to extend the life of your roof, call us! We will send one of the roofers on our staff to your site to do an inspection and give you an estimate on applying a roof coating to your building. Another good thing to keep in mind is that you can layer these coatings on top of one another, so if you decide to do one now, it won’t stop you from applying another coating in a few years, or further down the road, if you still aren’t ready for a re-roof. Call today to get an appointment with one of our roofing contractors who will help you choose the right thing for your property! Polyurethane roof coatings are a common choice for many commercial properties as they have an extremely durable material and can protect your system from a number of conditions. Our roofers are adept at all types of roof coatings and will be happy to help you find the right one for your needs, give us a call to find out more! Roof coatings can change your roof for the better! For better benefits with less cost, call us! We apply roof coatings in Bentonville, Springdale, Fayetteville and nearby areas. We are a roofing company that’s been serving the area for decades, and we look forward to the chance to serve you next!